Welcome to a new way of thinking about health and fitness. We do fitness differently! Our motto is “Run Your Own Race”. It is our mission to guide others toward the fulfilling experience of living in their bodies with health, youthfulness, confidence and joy. We do this by providing our clients the tools and education to take charge of their own health and the motivation and support system to ask more of themselves. Amy Shaabani founded The Body Elite in 2004. 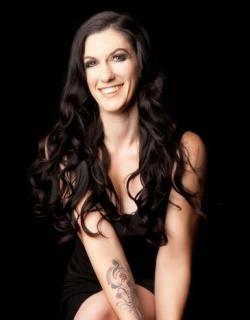 Having experienced her own life transformation as a result of exercise and lifestyle change and wanting to help others do the same, her number one priority is using her skills and knowledge of the human body, exercise and her talents as an educator and motivator to help others achieve their goals and live healthy, balanced and fulfilling lives. She has trained individuals of all ages and fitness levels and has worked in a variety of settings, including large fitness centers and smaller gyms both as a personal trainer and group fitness instructor.